As we uncover our shipments of wood, invariably we will find small treasures of black walnut. Always attractive and highly prized, our walnut comes from many sources and is accrued over time. We take care to save as much material as possible, so sapwood, hairline splits, nail holes, and slight sawmarks are common. 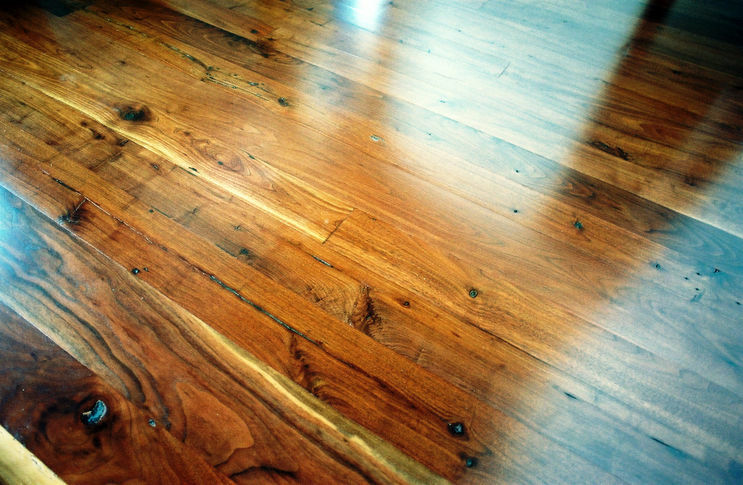 A rare and distinct reclaimed floor, black walnut is the envy of all wood aficionados. Random widths and long lengths common. Cheers.